Have you ever noticed that people with oily skin have fewer wrinkles? It’s not a coincidence. Our skin loves healthy oil. Those who use the oil cleansing method often have skin that glows. This is because it has been nourished and thoroughly moisturized. 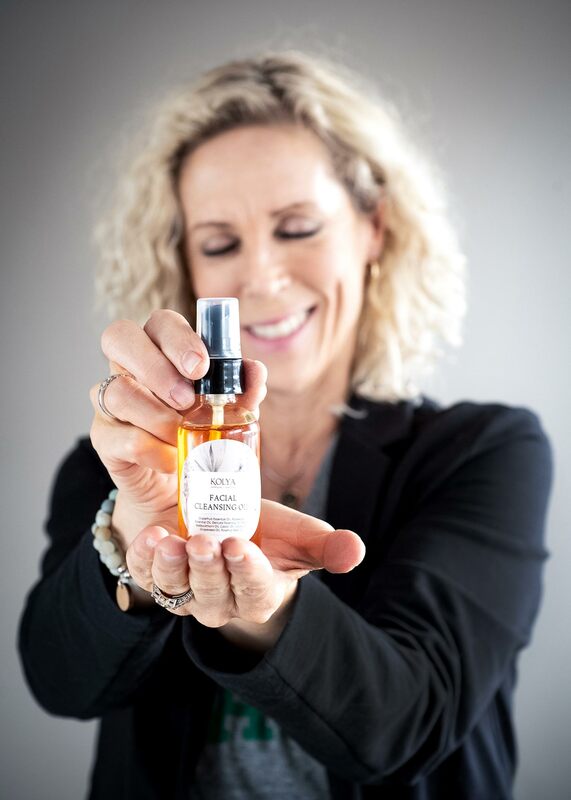 I first learned about oil cleansing from coworkers at my favourite organic skincare resource, Kolya Naturals. For many years I had been over-cleansing my skin in a desperate attempt to clear acne breakouts and clogged pores. As I have naturally oily skin, it seemed counterintuitive to use more oil to clean my face. Then I learned about the power of amazing oils such as castor, argan and sea buckthorn (to name a few). They all have unique qualities such as the amazing ability to draw out impurities, nourish, heal, protect, reduce inflammation, or stimulate collagen production (hello, anti-ageing!). Oil cleansing is suitable for every skin type, and issues ranging from ageing to acne. The way it works is by breaking down grime on our skin without stripping it (unlike traditional surfactant-based cleansers and soaps). This gentle method prevents the skin from overreacting and over-producing more sebaceous oil. A big bonus is that the avoidance of harsh, drying soaps may prevent premature ageing… And who doesn’t want that? 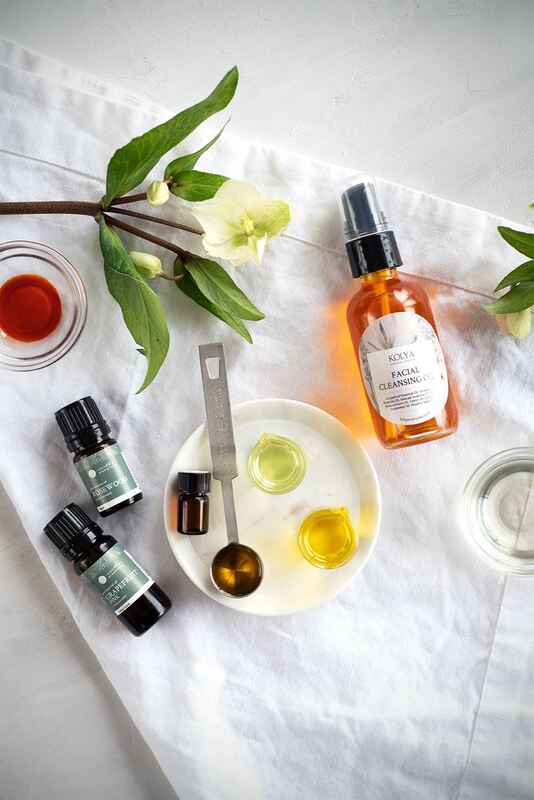 It’s easy to blend your own oils for a fully custom facial cleanser. 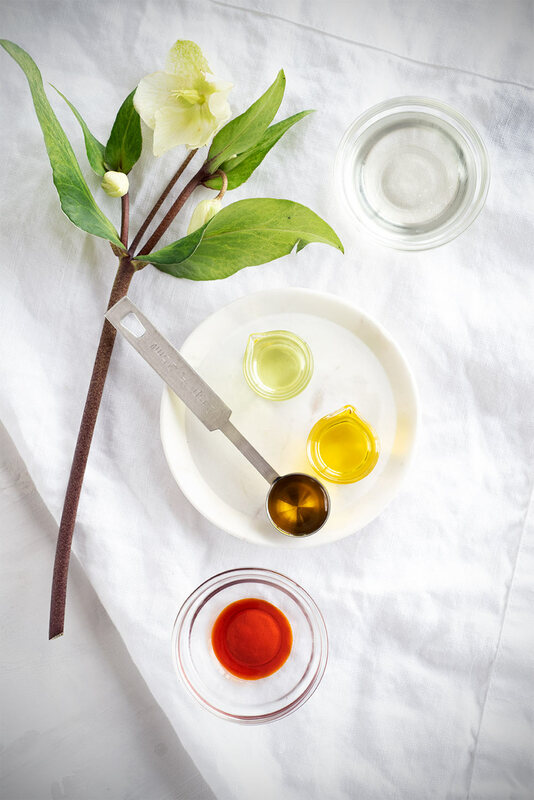 This simple recipe (formulated for Oily to Combination skin types) combines castor with other skin-loving oils: grapeseed, jojoba, sea buckthorn, vitamin E, and a few skin-safe essential oils. You can play around with this, as there are many beneficial oils to choose from. Get creative! Those with especially dry or combination skin may want to swap around the quantities of castor oil and jojoba, or replace grapeseed oil with apricot kernel or sesame seed oil. Teenagers and those with extreme acne may wish to avoid coconut oil as it may exacerbate breakouts, and those with mature or sun-damaged skin may want to add in something rich in linoleic and omega fatty acids, such as more rosehip seed or red raspberry. Place a funnel into the bottle and add all of the essential oils. Add each carrier oil into the bottle, using a spatula to pull the oils out of the measuring spoons. Remove the funnel from the bottle and secure the treatment pump. Gently shake until well blended. Label and enjoy! Apply a warm, damp washcloth to the face for about 20 seconds or longer to open the pores and remove any buildup. Pump about a dime size amount of cleansing oil and rub hands together. Lightly press hands onto the face until the face is covered, then continue to gently massage your finger pads in small circular motion over the face. Refresh the damp cloth to desired temperature and lightly remove excess oil. Finish with a serum or daily moisturizer. 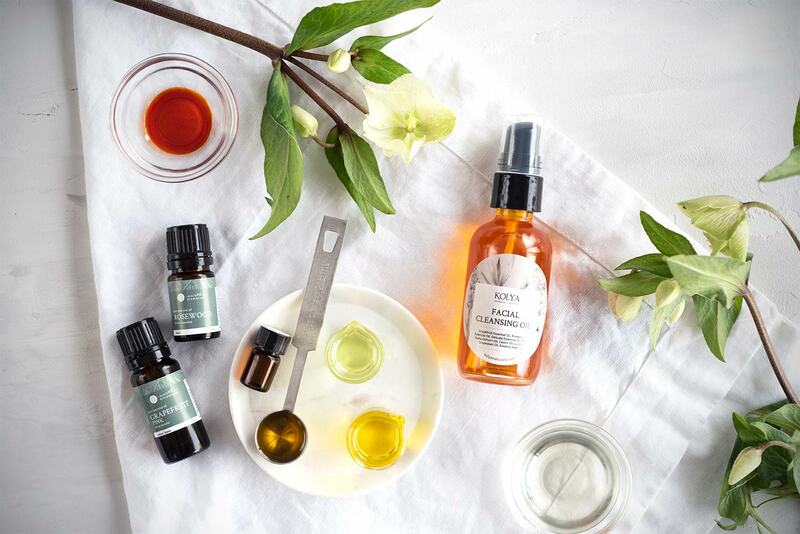 This DIY Facial Cleansing Oil is a beautiful oil cleanser for all skin types, but is especially great for hormonal, combination or oily skin. This is a wash-off product intended for evening use before bed. Avoid sun exposure for at least 12 hours when using grapefruit or other photo-sensitizing essential oils, and always wear sun protection. This beautiful oil cleanser can be used as a deep cleansing treatment for normal, oily and combination to dry skin types. To use this DIY Facial Cleansing Oil, you will need about a quarter-sized amount (approximately 2 pumps). Massage it into your skin for 30 seconds and then take a warm, damp face cloth, wring it out, and drape the cloth over your face until it cools. Then simply wipe away the excess. You can stop here and leave your skin as is, add a little oil or moisturizer back if your skin feels too dry, or follow up with your regular skincare routine. I recommend doing this at night and then simply rinsing in the morning, but sometimes I oil cleanse in the morning too, just because it feels so good! Having healthier, more hydrated skin both looks and feels great, and it’s easier than ever to attain. Robyne is a mother of five humans (four handsome sons and one beautiful daughter) and one very fluffy cat. She loves experimenting in the kitchen - both with food (her children have been the beneficiaries and sometimes victims) and face & body care recipes. She is a trained makeup artist and loves natural skincare and makeup. 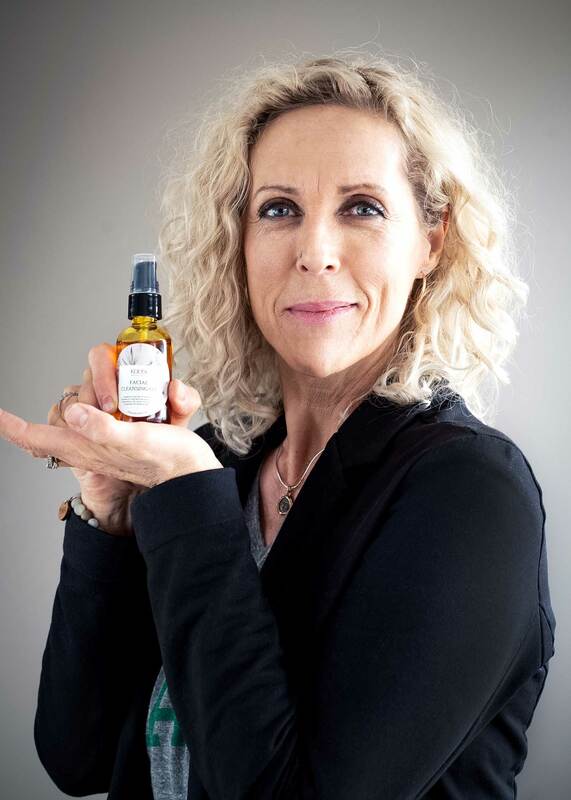 Robyne has worked and played in the Botanical Apothecary since April 2015 and loves hearing customer's success stories about natural remedies and is a passionate lifelong learner of every kind of alternative healing.